Motherboard Plastic standoffs are used to separate the main circuit board from the metal case. Plastic snap in units push through the main board and slide into Case attachment slots. This part is the most common variety plastic motherboard standoffs used. Originated on the IBM AT Systems. 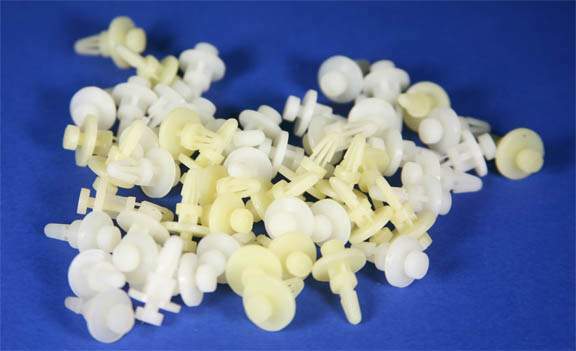 Includes Large Bag of 100 Regular Standoffs used for holes on MB Case Mounting Plate. These quality nylon motherboard standoffs provide the perfect solution for preventing your motherboard from shorting. By elevating the motherboard off the case, these standoffs give support and prevent it from moving around, which can damage vital components.